Keeping a secret can be tough. 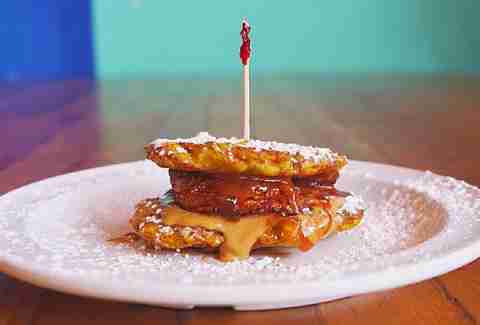 It can be near impossible when that secret is beer-battered, bacon-wrapped, or bourbon-infused. Clearly such edible treasures are meant to be discovered, so Chicago’s sweet and savory steel trap is open in our round up of some of the city’s best off-menu items. 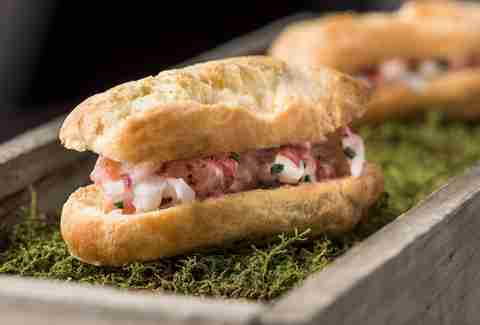 Sure, Acadia was awarded two Michelin stars this year, but do the foodies flocking for 10-course tasting menus know about Chef Ryan McCaskey’s mini renditions of his famous lobster rolls available at the bar upon request? Don’t think so. Unless you’re a foodie who enjoys tasting menus. In which case, thanks for reading. 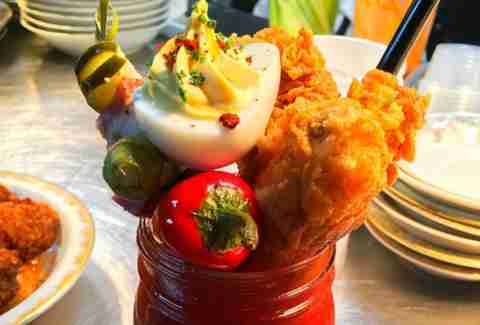 Order the house Bloody Buckin’ and it’ll come with a fried chicken wing, deviled egg, a hot pepper, homemade pickles, and pickled okra. It’s a hangover helper, a meal, and a work of fine art, all nestled into a mason jar. I’ve never had anyone call me Homeslice, but I’d imagine if it did happen it’d occur in Lincoln Park, and that person would shortly after be eating some potato skins. So it makes sense that this place would have a pulled pork version you could order on the hush hush. Bro food at it’s finest! 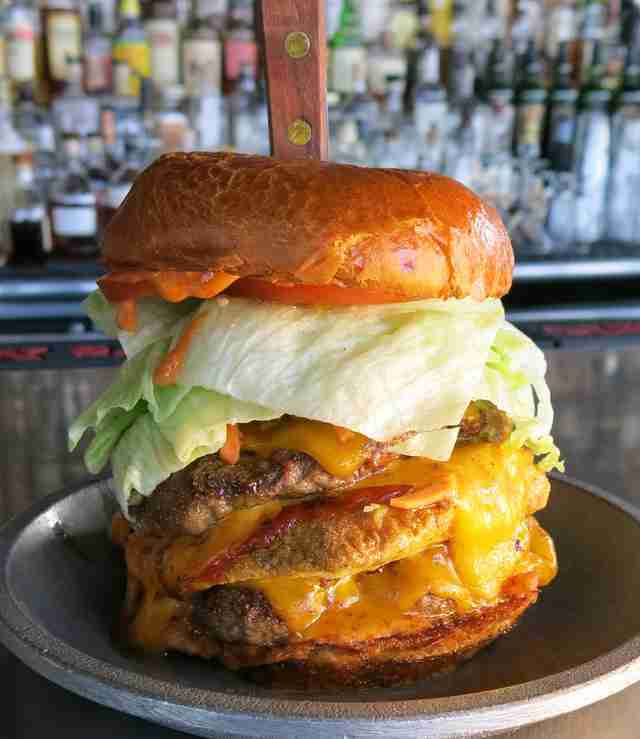 Your grand daddy is probably proud if you have the means to order $26 hamburgers like this on the regular. 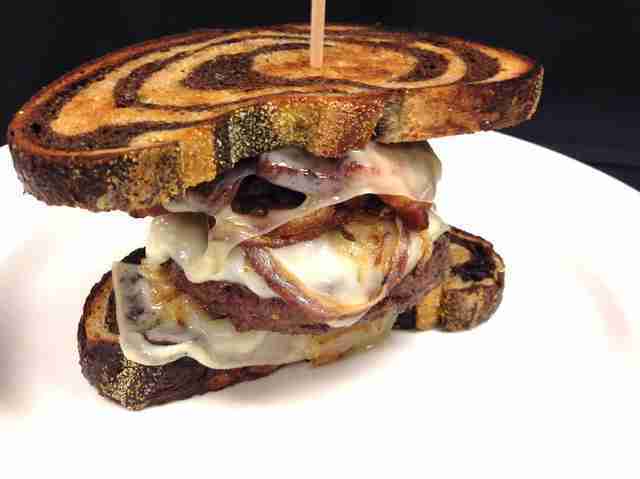 It’s actually one of the more affordable items on the menu at this fancy steakhouse, so the 10oz of certified Angus beef, crispy pork belly, cheddar, and saffron horseradish mayo in between toasted marble rye is a pretty good deal when you look at it that way. They’re no secret themselves. After being on Triple D they now have three locations around town. Knowing about this off-menu beer-battered whitefish with pickled jalapeños, chili aioli, and their signature samurai sauce on a French roll though will make you more hip than the bleached blonde biker that helped put them on the map. Unless you weren’t already. “Ace” is equestrian slang for acepromazine, which is a horse sedative. 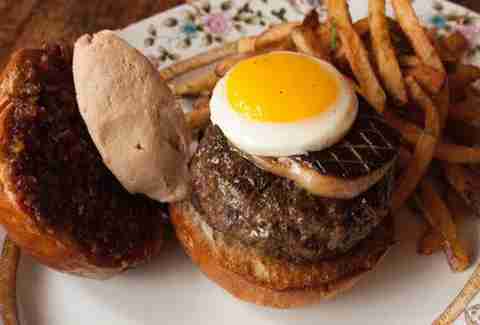 If you order it this way, your burger comes with a Slagel Family Farm Juicy Lucy, seared foie gras, pork rillettes, sunny-side egg, and bacon jam on a brioche bun, which has been known to cause a similar sensation to it’s namesake. Wanna be a baller? Shot caller? Well, this roll is made with the maki equivalent of 20in blades including toro Japanese Wagyu, fish roe, black truffle, crispy chip, wasabi crème, soy truffle vinaigrette, and scallions. It’s got a $75 price tag, but then again you’ve achieved baller status for the evening. 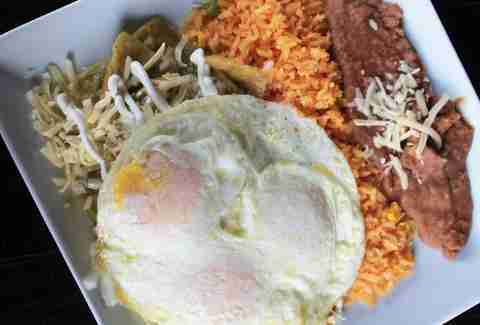 Its sister restaurant next door (Café Con Leche) is well known for the mix of tortilla chips, salsa verde, eggs, sour cream, Monterrey cheese, Mexican rice, and refried pinto beans. If you want them on the business side of a big night out, De Noche serves them up from 10pm-midnight on Fridays and Saturdays. It’s pretty simple, take a freshly baked chocolate chip skillet cookie and put chocolate chip ice cream on top of it. What’s more complex is trying to describe to someone how delicious this concoction of warm cookie marrying cold ice cream is. No, you’re not sipping booze from a ludicrously long straw in Wrigleyville. 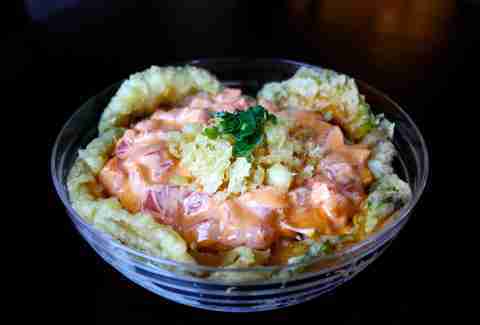 This Fish Bowl is chocked full of fresh salmon cubes, veggie tempura, Japanese white rice, shredded cabbage with spicy mayo, smoked salmon, and a special soy sauce topped with black tobiko. Way less of a chance seeing vomit on the sidewalk too! Secret Sauce No. 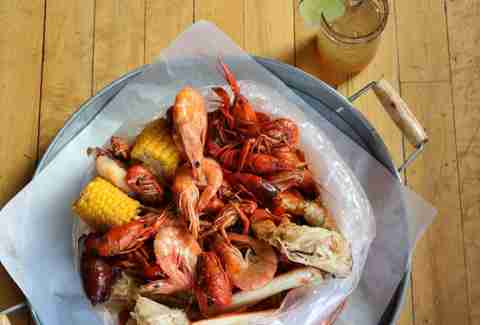 5 aka "The MJ"
Lowcountry does customizable Southern seafood boils here, but you’ll notice that the heat level on the menu only goes up to four. If you’re into Homer Simpson-style hallucinations, order “The MJ” in your bag and be sure to have a glass of milk nearby. When fries just don’t live up to the delicious umami-ness levels of your burger, ask for the off-menu tots which are infused with aged parmesan and cheddar cheese. If your name is Mick, you can drop an effortless Old School reference simply by saying, “I’m here for the gangbang.” Not only will they bring you their Mickey D’s inspired burger with two patties, a fried chicken breast three slices of cheese, tomato, lettuce, pickle, and various secret sauces, they’ll have no choice but to give you props for the fun movie quote recall after you show them your ID. Training for a marathon? 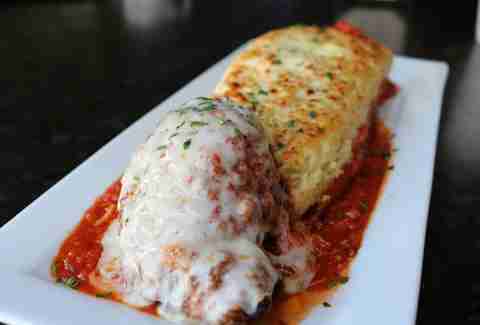 There’s a colossal serving of baked angel hair pasta appropriately named The Carbalicious that will make for a performance enhancer. With the secret upgrade of a chicken fried steak patty, you can convince yourself that adding protein will make you much faster during the big race. Donald’s secret menu item just might trump all the rest on this list in terms of being “huge.” The Humdinger is a tamale in a hot dog bun smothered with chili and cheese, and it’s making America great again. It’s not just a secret. It’s a MAD Secret!? 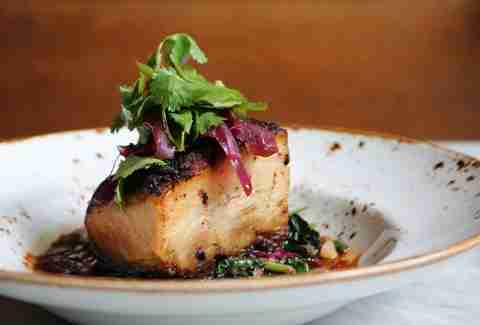 Regardless, this slow roasted pork belly with pickled red onions, sautéed kale and red cabbage, red chili purée, and fresh herb salad will make you happy you ventured off-menu. Nini’s menu used to be much larger, but after downsizing for a more efficient customer experience super fans still yearned for certain OG items. This slider with homemade guava jelly, peanut butter, and sweet plantains sandwiched between two tostones (green plantains) is often teased on its Instagram account and can be ordered if you ask Juan nicely. An edible tribute to the late owner, the Phil’s Special embeds a hot dog inside a polish then smothers it in onions, mustard, and mac & cheese atop a Turan Ciabatta. 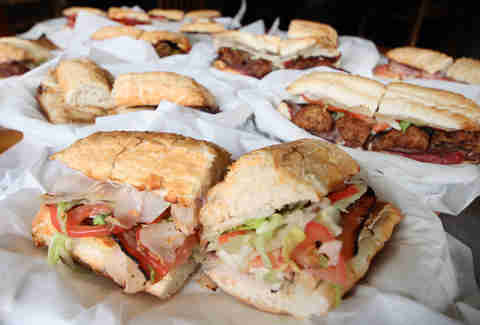 The man who made such a sandwich combination most certainly must have been one true Chicagoan. Referred to by many as the In-N-Out of Chicago. 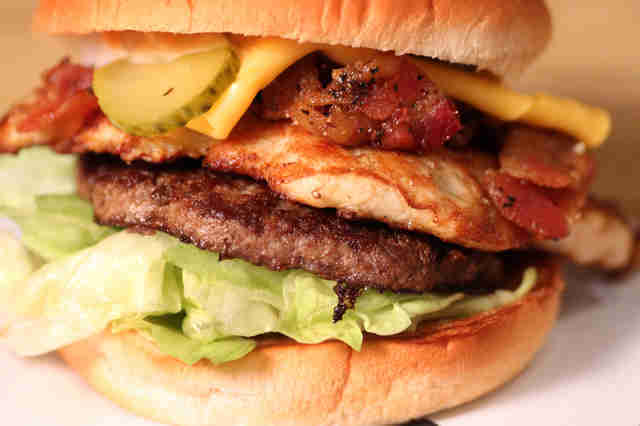 Similarly, M Burger’s moneymakers are burgers, fries, and shakes, but unlike the cult following of the California chain, you can order chicken, bacon, or turkey burgers off of the menu. 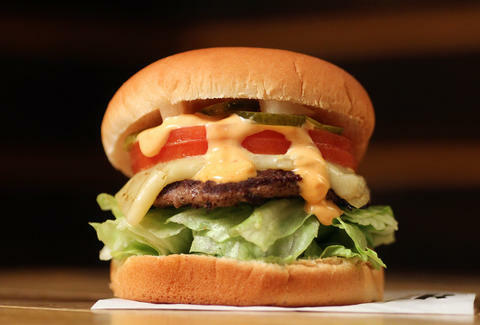 Put those altogether under one bun and their Barnyard Burger will be the only Animal Style you’ll ever order again. It's ham, turkey, roast beef, and salami topped with meatballs Swiss cheese, mayo, lettuce, and tomato. Potbelly’s actually has 15 different items on its secret menu, but I chose the Wrecking Ball cause Miley Cyrus knows how to rock an MJ jersey. In the mood for noodles, but tired of the ramen trend? 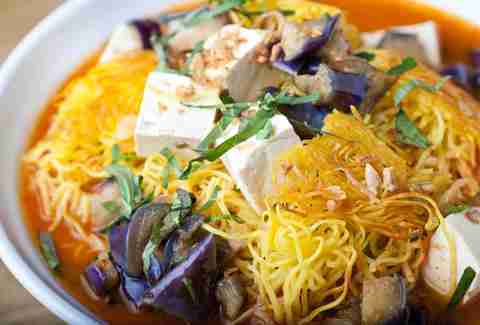 These guys do a secret fried egg noodle dish with tofu, Chinese eggplant, mushrooms, and spicy pork broth. Don Kenyatta is a Thrillist freelancer who never could keep a secret. Especially when it comes to food.